Aisles and aisles of food. From veggies to guilty pleasures, it’s all there in one location. What a dream. Grocery stores are the place to be. It’s where we spend more than we want to and not feel bad about it. There are tons of great grocery stores in and around Berkeley. Which one suits your needs? Here is a guide to the grocery stores nearby! 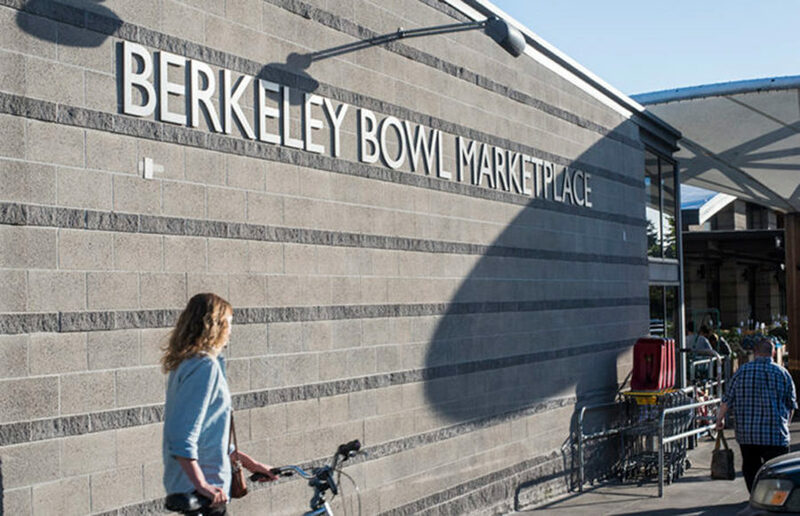 Conveniently located in South Berkeley, Berkeley Bowl is one of our all-time favorite grocery stores. It has everything you could ever want. The store carries a large variety of fruits and vegetables at a low price, as well as many bulk items. Berkeley Bowls’ poultry and perishable goods are on the pricier side, but they’re definitely worth the quality. This is the perfect place for vegans, as it has a wide selection of vegan options. There are multiple Safeways located around campus. The closest one is on College Avenue, and the 51B bus conveniently takes you straight there. If you’re looking for familiarity, then play it safe and go to Safeway. Ah, yes. Trader Joe’s is the holy land of extremely cheap snacks and frozen food items. This is the place for you if you love snacks (which is everyone). They also have fairly cheap poultry. We’re always surprised by the number of items we can get for what we spend at TJ’s. It’s the perfect place for college students, and a hop and a skip away thanks to the 51B bus. Are you on the health grind? Then Whole Foods might be the grocery store for you. Whole Foods consists of many organic products and provides delicious groceries for a vegan diet. Nothing’s better than extremely fresh produce! There are multiple farmers markets that happen throughout the week in Berkeley. There’s one on Saturdays in Downtown Berkeley, one on Tuesdays in Southside one on Thursdays in Northside. Go check out the farmers markets and support your local farmers! A student-run food co-op, Berkeley Student Food Collective provides an assortment of groceries at an extremely reasonable price. It’s located right across from MLK for you to grab ingredients for dinner after a busy day of class. If you are a UC Berkeley student and find yourself struggling to afford groceries, there are many resources on campus that can help you out. For example, the Food Pantry, a food relief program, is located in the basement of MLK and provides many grocery items like rice, bread, and cereal for those who are facing food insecurity. There are many other places you can purchase your groceries, but here are just a few. Shop on, Golden Bears! Contact Kelly Fong at [email protected]. A previous version of this article incorrectly referred to the UC Berkeley Food Pantry as a grocery store. In fact, it is not a grocery store, but a resource that provides emergency-based services to students in crises.